My friend Susan McPherson just sent a list of 24 such differences and it’s pretty much on-point. At the same time, yesterday, I was doing a walkntalk meeting with Katy Spencer at the Tuileries (or, fais un promenade!) and we spontaneously decided to do the Ferris Wheel (which is currently at the Concorde). So here we are, a little cold but captured in the late afternoon winter sun. Guess what- I wake up, and it’s snowing! Well, not that much. But hey- still pretty cool! But, It stopped. :C. I suppose that helps with the cold. Then me and my sister woke up and went to get some food to tide us over. After looking for about three quarters of an hour, we just walked back to the apartment. Just after, my sister left to go to a boulangerie and got two chocolate croissants. Time well spent. 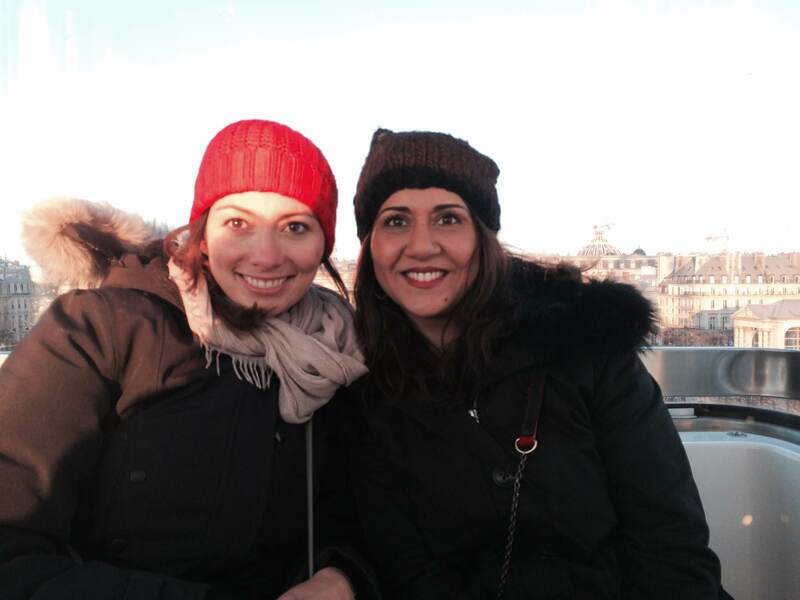 We walked up the Strasbourg Chapel’s tower and when we reached the top, it was FREEZING and WINDY AS HECK. Ah, who cares. We got a photo! But I can’t upload it cause WordPress is being weird. Then we went to the history museum, which was actually pretty epic. There was a lot of old things. I assume that it’s kinda the point though. Hey! We went to Strasbourg! When we first got off of the train, there was like two minutes before we entered the taxi. In those two minutes, we learned one big thing about Strasbourg during the winter; It. Is. Cold. After the taxi drive (in which the driver changed the taxi rate to the highest possible [I guess he thought we couldn’t read that sticker that says “Tarif D: tarif de la nuit, quand pas à coté de la gare.”]) we stepped out on the street of our hotel! Or so we thought… we learned later that Dad had accidentally booked an apartment. Unfortunately for mom, the fashion shop was closed. But anyways, standing outside the gate, we waited until someone came up and let us in. After slipping through the gate, we saw three doors. All of us hauled our bags to our door, 24b, and stayed in front of it for a while after realizing that there was no lobby, resulting in a longer wait for one of the owners to get the door open. About an hour later, we went on a boat ride, which was pretty cool. You could listen to the tour guide with provided headphones too! They had ten languages, and six children counterparts. I listened to the normal English one for about twenty seconds but it was really boring, so I switched to the child’s version. It was meant for little kids though, so it was a little weird to listen to a pirate for an hour. Then we went to dinner with some friends. Strangely, we got there one hour early. Oops. When they came we gave some presents and ate too much. Yep. And I accidentally got paté instead of pâtes. So, I made some little mistakes. Not bad though. I’ve done worse in linguistics. Me and my sister, Sara, both shared one apartment floor, while my parents shared another. Me and Sara found a game-show on TF2, called “Que le meilleur gagne” (That the best wins) and used it to “study French”. Well, we did learn that “zlataner” means to dominate. So, not at all time wasted. That’s all for Day 1. Join me later when I recount the rest! Tags: Adventures, blog, Chez, france, Great, hattemer, Home, Learning French, Paris, Post, Soi | Permalink. My sister, Sara, just got here last Tuesday! And she speaks French pretty well, so it’s good for practice. Also, that means more presents, which is what christmas is all about! Ok I’m just kidding. But, it does put stress on my hands. How many drawings can I make? Anyways, this was just a small update on what’s happening up in diss shizz. Oops. That was weird. Have a merry christmas! Now that we’ve been here for five months, the one thing we notice is the subtleties of manners. In the US if you enter a store, you enter a store. No need to say hi, or make eye contact or anything. in France, you enter a store, you say Bonjour at a minimum. But good manners would suggest eye contact. And if you start a conversation, you say, “I’m sorry to bother you but I am looking for something specific”, not “do you have x”. In the US, if you go to a restaurant, you are expected to check-in and wait to be seated ONLY if it’s a super tony place. In France, you are expected to say good evening, and that you are there for dinner, that yes you’ve made reservations, and would it still be possible. You assume nothing about whether they would like to serve you. You ask if you can join them. About two months ago, I asked if I could have a pen from a cafe owner because I needed to write something down. I was with Alexa Clay and I was going to tell her some metro stop info. I was pretty proud of myself with “Puis-je prendre une stylo” but today I would say it more like, “Bonjour, Monsieur; puis-je vous déranger avoir d’une stylo?”. In other words, you don’t say, “May I have blah, blah, blah”, without first acknowledging that you are interrupting them and that you must acknowledge the trouble and your respect for them BEFORE you go onto your thing. You must first build a bridge of connection … … before you can get something done. But you have to be pretty fluent to know how to say it. So I think he’s being a little dismissive of the language barrier. We went into a book store in Auvers-sur-oise and the staff were having lunch and we felt bad about bothering them, but we didn’t say anything. Now we know more. Whether the words come out at a particular time is less clear. Underneath (dessous) all this politeness is a general belief that all people deserve respect. You treat the cashier well, the server well, the storekeeper well, the guardian well, the ticket sales person, and so on. Not because of their rank or status in society but because all people deserve respect. Because it’s how you are raised. Because this is how the world should work. Now that I notice this with so much more subtlety, I keep noticing how much Americans don’t do this well, or AT ALL. They step up to a ticket booth and say “two tickets” not “two tickets please” or even “Bonjour, May I have…two tix, pls”. Now it grates me. When I went back to the US for a meeting at Walmart in Bentonville Arkansas, about 8 or so weeks ago, I was in line at the Embassy Suites for custom omelettes first thing in the morning. I said hello to the young man, I asked if he could make me something with xyz, and after he said he could, I said, well, It would make my morning and thanks. He stood up a little taller, I noticed. And as I waited for mine to be cooked, I watched 8 people walk up to him and without acknowledging him at any individual level, they said “scramble” or “veggie omelette” but sans thanks, and certainly sans respect. It seemed to me I had changed, not America or Americans. 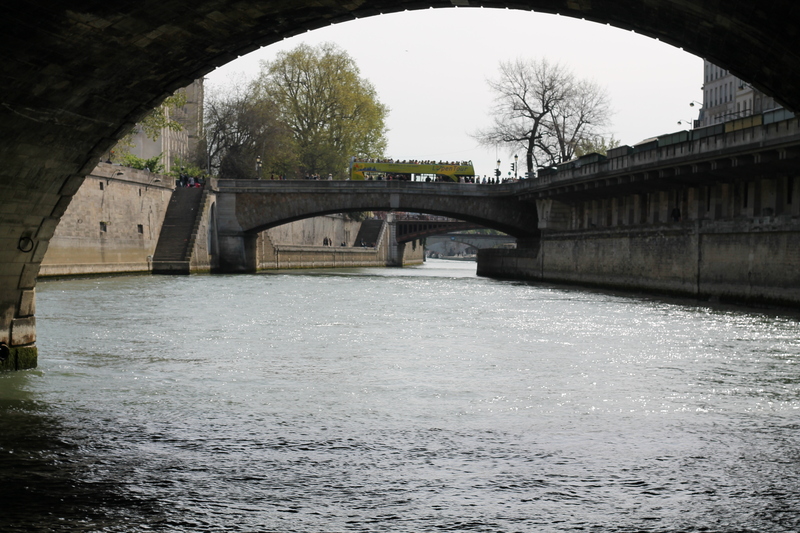 Being in Paris helped me see something about the two places, that I didn’t see before. 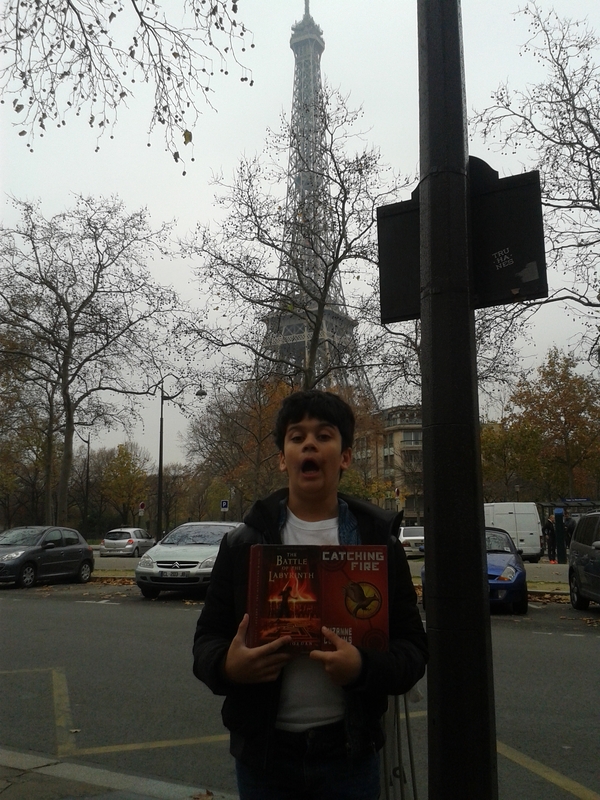 Even without leaving Paris and having that kind of comparative experience, even Kiddo notices it. He rolls his eyes when he hears Americans talk. He wants to fix it for them. To teach them better. Curt has gotten much more conscious of his manners, though we all know we could get better at our interactions. And if I was in charge of import/export stuff, THIS is 1 thing I’d like exported from Paris, to around the world. THIS, and the fromage. Well, and the chocolate. But definitely THIS. That same window of time, I was reading Paris the Novel by Ed Rutherford. It’s a fictional book that weaves both fictional stories and real history, over the course of hundreds of years based in Paris. While I found the book tedious at times (especially the back half), one story I loved was the building of the Tour Eiffel through the eyes of two brothers, Thomas and Luc Gascon. The novel, even though partly fictional, tells some history of the Tour Eiffel. That it was designed by by Gustave Eiffel, who had designed and built tons of things by the time he got to design the now historic icon. The thing any local will tell you is that Gustave had designed many things before this. They might mention the “Les Halles” in Dijon. Dijon is the birthplace of moutarde (mustard), and this covered marketplace was built in the mid-1800s. Or they might mention that Gustave designed and created the framework inside the Statue of Liberty, a gift to the US from the people of France in 1886, which was an engineering feat. Eiffel graduated from the École Centrale des Arts et Manufactures in 1855 as a civil engineer and specialized in metalwork. Initially, he made his name designing bridges for the French railway network, and some of his bridges are still around. And, so later — because of his already great understanding of engineering a particularly specific form-factor, and his understanding of metalwork for construction at scale — he got picked to design, build and is now known for his iconic piece de resistance, the Eiffel Tower, in 1889. We’re planning/hoping to go to Dijon and Les Halles while there, sometime soon, when Daughter #1 is in town for Christmas. In thinking of Dijon, it reminded me of Gustave’s history and I started to wonder… do these seemingly smart people intentionally over-simplifying global stories, for their own marketing type purposes. Or do they really not know any better?